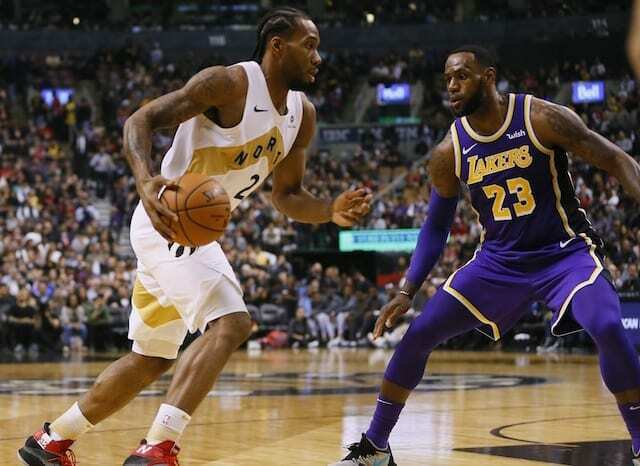 Through the first quarter-plus of the regular season, the Los Angeles Lakers have been fortunate enough to remain relatively healthy. Larry Nance Jr. suffered a broken left hand in November but returned ahead of the projected timeline. Kyle Kuzma missed a game earlier this week due to back spasms, but he too managed a quick recovery and was on the court for Saturday’s game against the Denver Nuggets. But in the midst of a back-to-back, now Lonzo Ball appears to be ailing. The NBA schedule, while adjusted to now provide players for more off days, can be particularly strenuous for rookies. And that appears to have taken its toll on Ball’s calves. Lakers say Ball experienced tightness in left calf before game. Then his right calf got tight during the game. Now both calves are tight. The team will keep an eye on it. With the Lakers playing the Houston Rockets on the second night of a back-to-back on Sunday, Ball’s status will certainly have to be monitored closely. 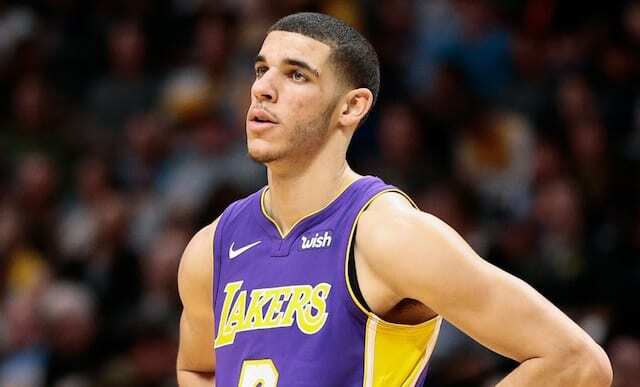 This early in the season it would make sense for the Lakers to not take any chances with their young guard, which means that we could be seeing a very different Los Angeles lineup against the Rockets. IF Ball is unable to go, head coach Luke Walton would have a decision to make regarding his rotation. In the past, he has shown a preference to keeping his bench unit intact and instead push a player from the end of the bench into the starting five. If Ball misses any time, Walton could turn to Tyler Ennis if he decides that he wants to keep his bench unit together. However, Walton did break from that strategy when Nance broke his hand, opting to shift Kyle Kuzma out of the second unit rather than turn to Luol Deng or perhaps Corey Brewer. Walton could also slide Jordan Clarkson into the starting point guard spot if he decides to split up his bench.